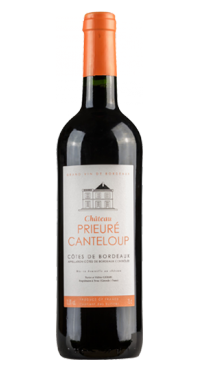 Also known simply as Château Canteloup. This is a vineyard in the AOC Côtes de Bordeaux located on the slopes of the right bank of the Garonne towards Saint-Emilion and just 12 kms from Bordeaux’s city centre. This estate has been in the Germe family for 3 generations. Ripe dark berry aromas, with a supple palate and texture. Easy to drink and approachable style.